Doorways are sites or pages created to rank highly for specific search queries. They are bad for users because they can lead to multiple similar pages in user search results, where each result ends up taking the user to essentially the same destination. They can also lead users to intermediate pages that are not as useful as the final destination. 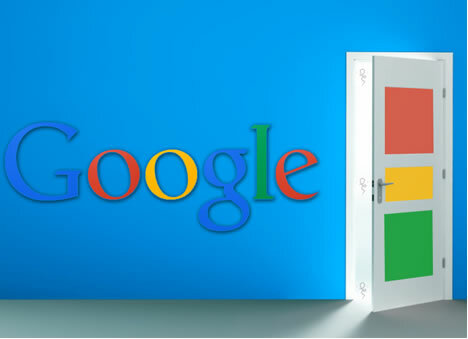 – This is what Google has to say regarding Doorway pages.Doorway pages have been a constant challenge in the Search Engine rat race. Google’s Search Quality team have tried and implemented various algorithm updates to tackle this, but as things stand, it is still a major source of ‘spamdexing’. Google has been waging a crusade against all sorts of spam, black hat link-building techniques amongst other things, to improve the user experience by improving accuracy as well as relevancy to the user’s search phrases. Previously in one of my articles dedicated to Google’s latest Panda update I had delved into the algorithm changes that Google had initiated with their latest update and how it affected the way websites are ranked and indexed. Now with the latest news that we have from Google Webmaster’s end I can safely convey that Google is taking steps in the right direction, and very soon we might see a set of updates being rolled out, through which the doorway page implementers might face penalty. However, this is just an assumption based on a few facts that Google has released recently. 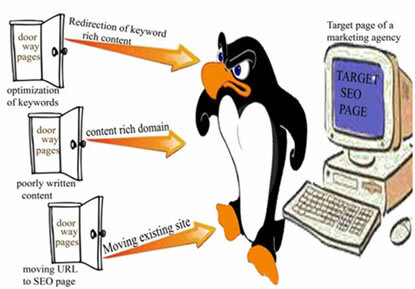 Doorway Pages are used for the sole purpose of maximizing traffic inflow by creating ambiguous or misleading pages that share similar keywords with that of the main site. This is often misleading to users as even if someone doesn’t like what they find on the main site, through doorway page implementation, the users might click on other similar sites that promise relevant content but upon clicking on them, redirect to the original main site that the user had declined initially. Brian White of Google this to say, had regarding the recent changes being planned for dealing with doorway pages. Any page that is acting solely as a source of traffic channeling and optimizing purpose, without adding any relevant or valuable material to the user or is not an integral part of the user’s experience. Any Page that ranks on generic terms without having any actual relevant data pertaining to the keyword phrases in question. Any page that duplicates useful aggregations of items such as locations, products etc. that are already present on the main site, trying to generate more traffic. Any page that is serving the purpose of only drawing affiliate traffic without creating or adding unique value in terms of content or functionality. Any page that functions in clusters or “island”, which are difficult to navigate to-and-from the main site, or serving the sole purpose of search engine optimization. With this update in place, websites that are using doorway pages, whether voluntarily or unknowingly, are in danger of being penalized. But there is still time to rectify and reinvent your approach to ranking. 1) Don’t create generic titles for your services that are offered in different cities. Eg. Avoid using “New York Car Dealership” or “Atlanta Car Dealership services” for ranking. 2) Create a unique value for each type of content that you create for your websites even if the services being offered at different locations are the same. 3) Advertise in the cities that you want to rank high on. Use Classifieds, and newspaper mediums to get the word around town. This will reflect generously on your rankings for that city. 5) Since duplicacy of content is targeted as well, you need to ensure that your websites across all of your domains and sub-domains have original content even if your services offered are the same. Customize each service category as per the tastes of that area that you are targeting. This will generate user interest as well as increase your chances to generate traffic and rank high. Google has sent in the warning shots already and the time is ripe for every website owner to analyze their websites for any sort of doorway pages that might endanger their ranking in the near future once the updates are rolled out. I believe that the best way to utilize this time is to analyze, rectify and re-strategize your websites and any upcoming SEO campaigns that you might have lined up, in order to ensure that your website and ranking techniques are aligned with the latest set of guidelines that Google has dished out. Vibhu Satpaul is Cofounder and Chief Operations Officer at Search Eccentric. A graduate in Information Systems and Softwares from LSE (London), he loves sharing his technical acumen with the world and implementing KPI based systems. Internet Marketing and search engines are his area of expertise. He also likes to tweet as @VSatpaul. Hmmm. interesting. Read entire post about doorway pages, but still not completely sure what doorpages are. What if I have a niche domain with exact match keyword like a product? Does that mean that every post I write about my product (and use of keyword in url) is a doorway page. Every post has it’s own topic and content, but in url of the post is aldo a domain keyword. Is this a doorway page? If your pages have unique content which provides value to the searchers then it should be fine. But if they are used for purpose to capture traffic on all possible keywords (which are close matches)and google sees that these pages dont provide uniqueness and are made to just to gain more traffic, they might consider this as bad. This is a very important algorithm update for multy location businesses. Same or identical contents on multi location pages, sneaky redirects are the main culprits. Create unique contents for unique user intents and not for the similar intent keywords or locations.